If you need a new Switch, this might be a good option. Looking to pick up a Nintendo Switch, but want to spend some cash on Fortnite goodies? You don't have to make the choice between the two, not anymore. With the Nintendo Switch: Fortnite - Double Helix Bundle, you can support your Fortnite addiction and get some goodies with your new Nintendo Switch system as well. The game comes with the system, though it's a free-to-play download, but the 1,000 V-Bucks may be of use, especially as you can use them to purchase a Season 6 Battle Pass for new challenges, pets, and other goodies. Granted, this isn't the most exciting Switch bundle out there, especially since you can pick up special Pikachu and Eevee-themed systems and Super Smash Bros. 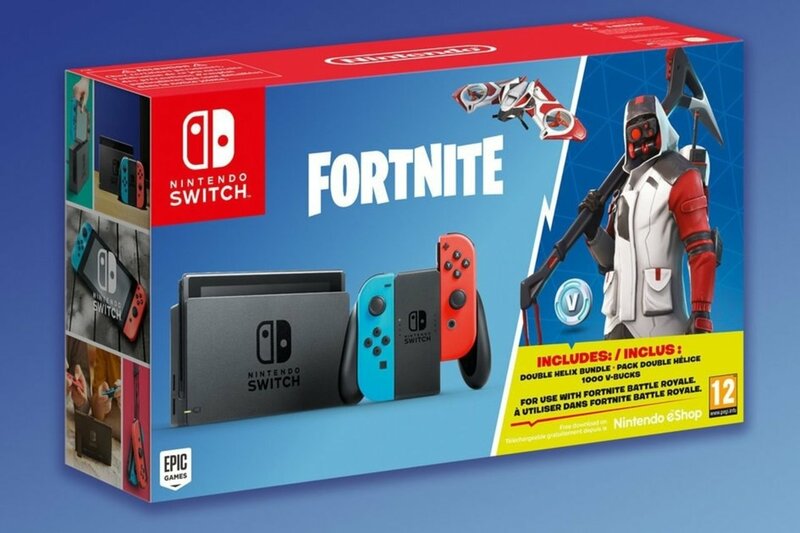 Ultimate versions as well, but for the Fortnite fan in your life, this is certainly a good choice. It's also going to sell like hotcakes, and you know it is.